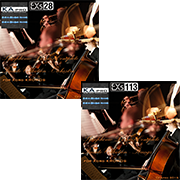 EXs28 Symphonic Dreams Private Collection - Orchestra and EXs113 Symphonic Dreams Private Collection - Strings, delivering premium orchestral sounds, are available together in the KApro Symphonic Dreams Complete 4 Private Collection bundle (US $299). 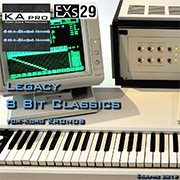 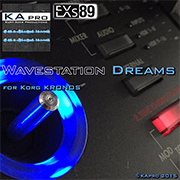 EXs29 Legacy 8 Bit Classics (US $99) and EXs89 Wavestation Dreams (US $19) focus on vintage synth sounds, and KRS-77 MS-20 Dreams (US $19) and KRS-78 STR-1 Dreams (US $19) round out the new releases. 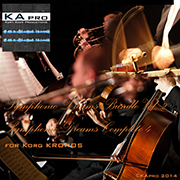 Lastly, KApro has updated the PCG data for their bundle “Symphonic Dreams Complete 4” the update can be downloaded free of charge. 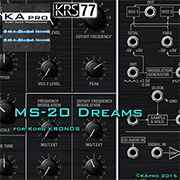 All of the new libraries are available immediately for download and purchase at the Korg Sound libraries shop.